Installing security gates at the entrance of a neighborhood or community of homes can provide a number of benefits to the residents. Here are four reasons to consider adding this amenity. One of the main advantages of these gates is that they can be a deterrent to burglars and other criminals. Not only would perpetrators have to break in through the security gate, but they would also have to be sure the gates are open when they need to leave. A home in an area that is not part of gated community is a much more attractive target and less of a hassle than one that has the added protection these gates can offer. For individuals who want to guard their privacy, security gates can be a particularly attractive feature. Some people like to drive around in upscale neighborhoods to look at the homes and potentially catch a glimpse of the residents. This can be a serious problem in places that have celebrities like the Los Angeles area. 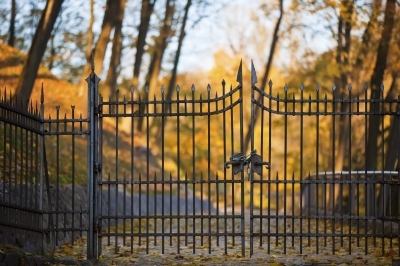 Some homeowners may want not only want a gate for the neighborhood, but one for their specific residence as well. There is nothing like an imposing set of gates to keep wandering eyes out. For neighborhoods that are bordered by busy streets, installing gates provides access control decreasing the amount of vehicles that drive through a community. They will need to drive around the area instead of through it. If they are a lot of children in these neighborhoods, it can assist in making the area a safer place to play. Adding this kind of gate in a community may also increase property values. Besides the practical benefits of these gates, there can also be a certain amount of prestige that comes with them which may positively impact the value of homes in the neighborhood. Security gates can bring many benefits. These are a few reasons why installing them may be a great addition to your community. I suggested that my parents get a gate for their road. It’s a cul-de-sac and my neighbors would probably love it too. My parents barn has been burglarized twice and the get strange people driving up their road. I think it would help them out a lot.